It was the first time that driver Fernando Alonso had raced an IndyCar and the first time he’s raced on a super-speedway but we hope after this debut, it won’t be the last. 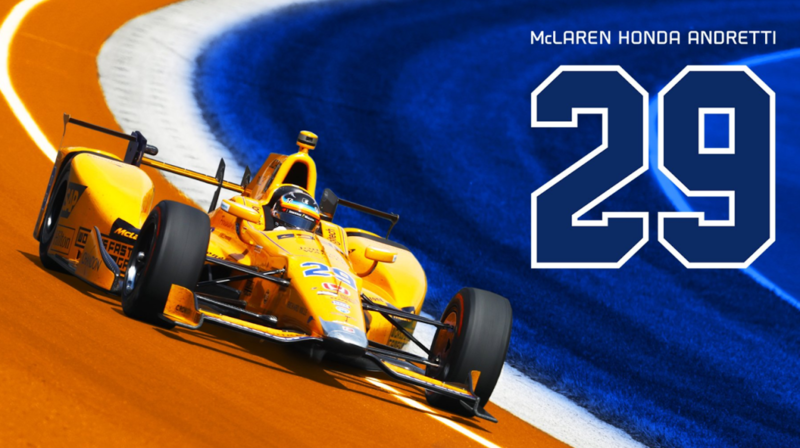 His driving expertise shined in the McLaren-Honda IndyCar as a first-time Indy 500 racer and we are very proud to partner with them in this amazing effort. “We are pleased with our effort out there today and excited to have had this opportunity. We know this made our team stronger and looking forward to the next race and appreciate all of the support we received in this challenge.”—Zak Brown, Executive Director, McLaren Technology Group‎. Earlier this year, McLaren-Honda and Logitech announced a multi-year agreement. “This collaboration was built on traits that Logitech and McLaren-Honda share: technological innovation that help people achieve more, and passion for what we do,” said Bracken Darrell, president and CEO of Logitech. Outside of winning on the racetrack, McLaren has also become the first Formula 1 team to enter the esports arena, announcing World’s Fastest Gamer – the world’s most intense and demanding competition for virtual racers. The format pits the best gamers in the world across multiple racing platforms as they battle each other to discover the ultimate ‘champion of champions’. The winner will be offered a one-year contract with McLaren-Honda to work in an official capacity as a simulator driver. To learn more go here. If you need to speed up your game as you hope to be selected for the World’s Fastest Gamer, you can save big now. For a limited time, save $100 off of our G920 or G29 racing wheels and get a free shifter ($60 value) with purchase. Be sure to follow Logitech G on Facebook, Twitter and Instagram for all the latest news and promotions regarding our partnership with McLaren-Honda and our newest products, and be sure to include #WorldsFastestGamer for your chance to be featured on our social channels.